When a person has dementia, they are unable to do many of the things people would normally be able to. It is extremely difficult for them, and the disease progresses in such a way that they don’t even know what is going on, why they feel this way, or how to ask for help. Naturally, this confusion leads to outbursts and other disruptive behaviors. While these behaviors are an avoidable part of the condition, medical staff and caregivers have been responding in some pretty disturbing ways. The human rights group Human Rights Watch recently published a report with evidence that nurses and assistants have been using anti-psychotic drugs to sedate their patients, a practice that has become known as the use chemical restraints. Dementia degrades the brain slowly, until motor skills, communication skills, and ability to perform basic tasks are debilitated. The confusion and inability to understand the hospital environment, they naturally become frightened. The loss of memory, confusion, frustration, and lack of self-reliance make the patient depressed. All of these symptoms make it difficult for the staff to handle the patient. To quell the outburst, disruptions, and other behavioral problems, medical staff have been administering anti-psychotics to subdue the patient. This puts the patient out, making them docile and unresponsive. The use of these drugs is not to help them, it is to create an environment that is more preferable for the staff. In fact, it does more to harm the patient then to help them. The use of chemical restraints is not only against federal regulations in the United States, it does real harm to dementia patients. Research has shown that anti-psychotic drugs can exacerbate the symptoms and accelerate the disorder. Cognitive functioning, the retention of memories, and both communication and motor skills are affected by the use of chemical restraints. It makes the patient more confused, frightened, and unaware, making the use of these drugs habitual. There are many common misunderstandings about the use of chemical restraints. First, some people believe that they will prevent falls and other accidents, but what they are missing is that injury or death from asphyxiation when the patient has been given chemical restraints is more of a concern. Immobilization can cause loss of muscle mass, sores, difficulty walking, constipation, heightened fear, and loss of dignity. Though staff may think anti-psychotics are a solution, they are a short-term answer that increases a long-term problem. A medical malpractice firm states that creating a quiet and calm environment for themselves and other patients is really a disservice to the people they are supposed to be treating. There are a few solutions to end the use of chemical restraints and create an environment that is free of sedation. First, one of the reasons staff who work with dementia patients say they used chemical restraints is that the family was not around to help with the situation and provide insight. Now, it is not up to the family to be the ones who watch over nurses to make sure they are doing the right thing, but being around helps family have peace of mind knowing that their family member is being cared for. Not only can the family’s presence provide insight, loved ones will notice if their relative is subdued, quiet, or different. This can stop the use of chemical restraints by reporting it to their supervisors. Family cannot be there all the time, and it shouldn’t be up to them to stop this disturbing use of anti-psychotic drugs. 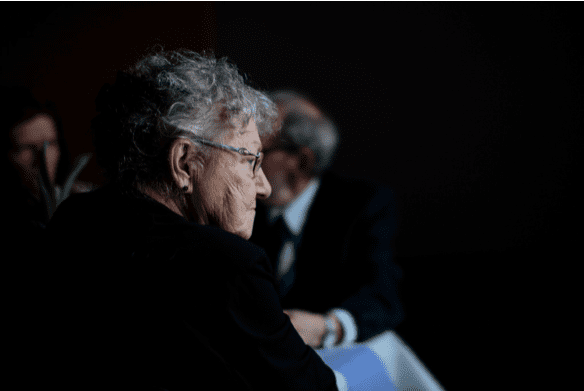 The real, lasting solution is ensuring that doctors, nurses, and assistance receive the appropriate communication and related training for dealing with dementia patients. While one would think that if they are working with patients who have dementia would be required to have this training, but the reality is very few of them receive it. Not only should staff in these facilities be properly trained, they need to be sensitive to their patients. It is not their fault they behave the way they do, their disease systematically degrades these cognitive functions. Staff need to ask themselves if they would like to be treated this way, if this is right, and if they are showing the patient respect. When using chemical restraints, the answer is obviously no.